We welcome your valuable suggestions and feedback about the customer portal. Please send any questions, comments or issues you faced in customer portal. The company is engaged in manufacture of turbochargers as well as parts of turbocharger. The products of the company find application in automobile, industrial and marine segments. The Company is a Part of TVS Group.TEL has achieved a turnover of Rs.11.7 billion in FY 2016-17. In line with the corporate values of the TVS Group, TEL has a firm commitment towards its stakeholders, thereby ensuring sustained growth of the organisation. TEL also recognises that its vendors are partners in progress. 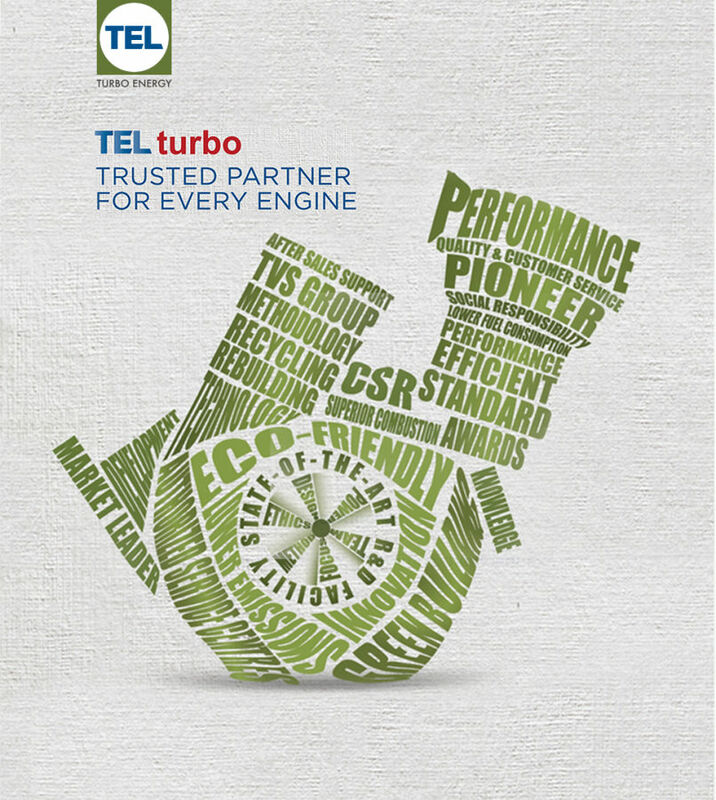 Emphasizing team work, trust and care among the employees, TEL always strives for higher standards of performance. The company controls its activities from its head office at Chennai and two manufacturing facilities located in Tamilnadu and one in Uttarakhand. The company has setup an exclusive Research and Development (R&D) centre for manufacturing and developing turbochargers of internal combustion engine. The (R&D) centre is located in Chennai and is equipped with the requisite test facilities. It also has authorised services centres and distributors for spare parts to the requirements of its customers throughout the country. The Company caters both to the domestic and the international markets. The company has been accredited with ISO 14001:2004 and ISO/TS 16949 Certification from Bureau Veritas Certification (India) Private Limited for quality management System.